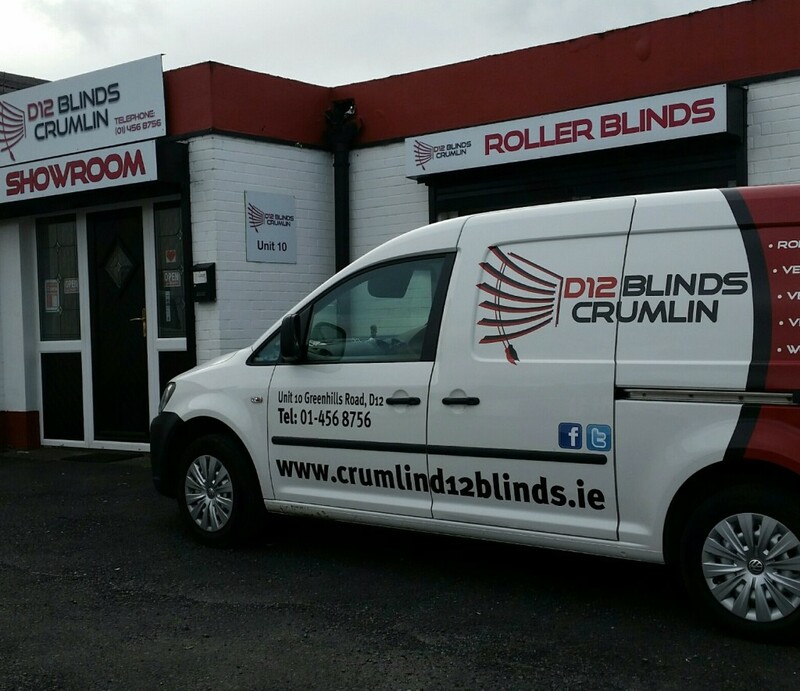 D12 Blinds Crumlin are an Irish owned family run company with over 30 years experience in manufacturing various types of blinds, from Roller blinds to Vertical blinds to Wood and Aluminium Venetians. Top quality workmanship, together with our attention to detail and our flexible approach enable us to meet our clients’ needs and deadlines. We provide a professional and individual service in order to fulfill any requirement and assist with design solutions. We pride ourselves with high quality products, excellent customer service and with fully trained staff . You can view a select range of our products on our website, Twitter, Facebook or Google +, find out more about us or contact us regarding any inquiry you may have.